The artist has dedicated his life to charitable and civic activities for decades. He holds the highest New York State licenses in Special Education and has worked devotedly with learning disabled children for sixteen years. He contributes his artwork constantly to fund raisers for major causes: Channel 13 Auctioning of Arts, Learning through the Arts (The Guggenheim Museum), American Friends of the Hermitage Museum, Light House International, Russian Children’s Welfare Society, Christ’s Church, and the Raul Wallenberg Foundation, to mention a few. The list is long. 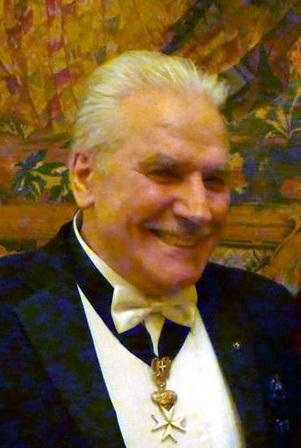 Ivan Valtchev is a Knight Commander of the Order of St. John of Jerusalem and as a ranking officer represents the interests of the charitable British Volunteer Corps of Frontiersmen in the USA.